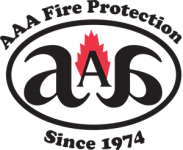 When San Rafael Commercial Kitchens need an expert in commercial kitchen compliance they call AAA Fire Protection Services. With over 40 plus years serving North Bay and Marin County commercial restaurants, AAA Fire Protection Services knows how to help not only get your commercial kitchen into compliance but also how to keep it compliant with California fire code and UL300. Our services include inspection and installation of restaurant hood fire systems and comprehensive restaurant exhaust cleaning services. We offer affordable prices and professional quality for Kitchen hood systems and for both compliance services and ongoing services. Our ongoing services help your commercial kitchen stay in compliance with UL300. Grease exhaust cleaning is a twice a year job and UL300 requires that a professional company perform this cleaning. To test compliance code enforcement, look for a tag that indicates the last service dates. We not only provide grease exhaust cleaning, we provide all of the documentation that you need to prove compliance too. In addition, we help with a grease filter exchange service that removes old exhaust hood filters and replaces with airtight grease hood filters that are Baffle designed. We are happy to provide a quote that is customized for your kitchen including equipment and services. Just give us a call at (800) 543-5556 and we can answer your questions or schedule a walk through.